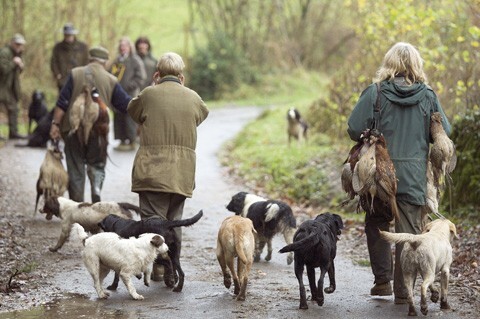 A comprehensive guide to game shoots in the UK. Find a shoot by county and read our shoot reports. 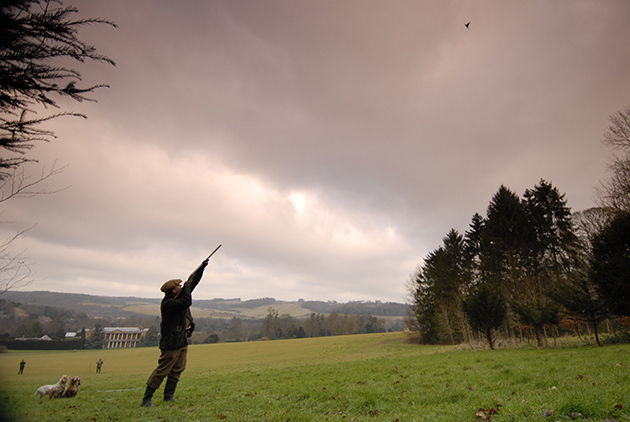 What it’s like: West Wycombe Estate is a prestigious shoot managed by keen Shot Sir Edward Dashwood. 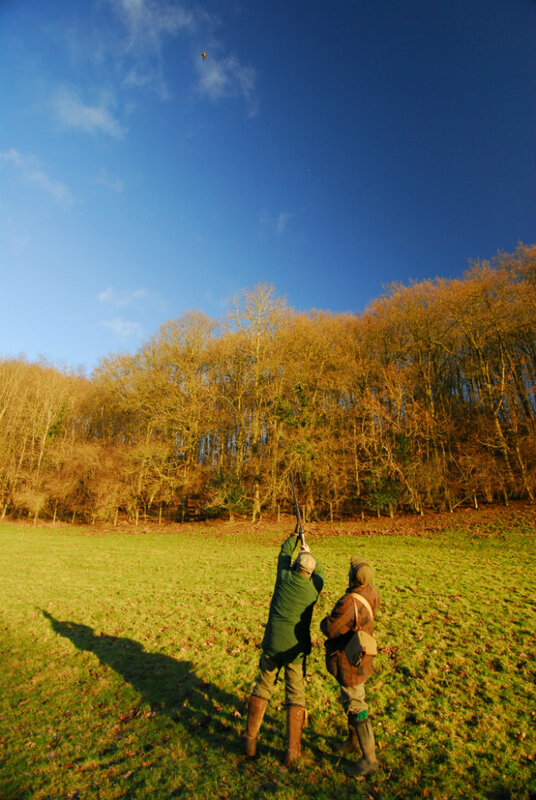 The woodland was originally laid out for shooting and it is a classic traditional English driven game shoot. Shooting Times visited in 2011, read their review here. Topography: Parkland and stately home. What’s it like: The family owned and managed shoot nestles on the edge of the Pennines with spectacular views over the Upper Eden Valley in Cumbria. The Head Keeper is Ben Faulkner who joined two years ago from Lead Hills in Scotland. And the 2,000 acre grouse moor offers small driven or walked-up days if the numbers are sufficient. What’s it like: As featured in Shooting Gazette, Lingholm has a long history. It was bought as a pheasant shoot at the turn of the last century because of its superb terrain and stunning scenery. And it presents a great opportunity to shoot testing birds at a reasonable price. The day starts with drinks in the main house and lunch is taken at the Derwent Lodge Hotel, where guns are able to stay. What’s it like: The estate was the principle home of the Earl of Chesterfield. It has been in the same family since the 1900s and has recently been passed down to Charlotte Macdonald of Sleat. 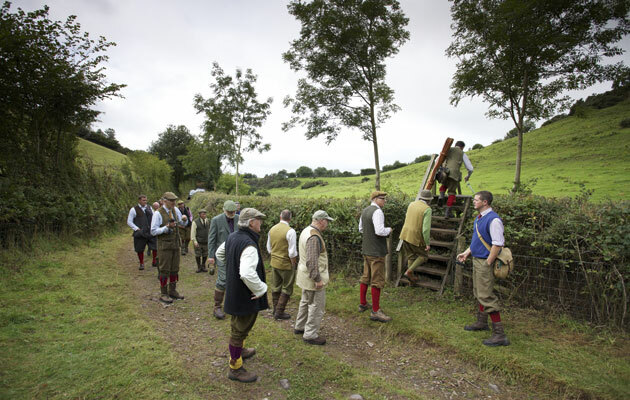 The partridge shooting is an excellent example of traditional sport, with the birds shown over hedges and rolling valleys. Mixed days and pheasant-only days are offered later on in the season. What’s it like: Set in beautiful scenery, the owner charges a set amount to shoot with the cost covering an unlimited number of shots and unlimited bag. They offer this arrangement because these are some of the finest sporting birds money can buy and the best guns will be tested. You can read more about Hembury Castle here. 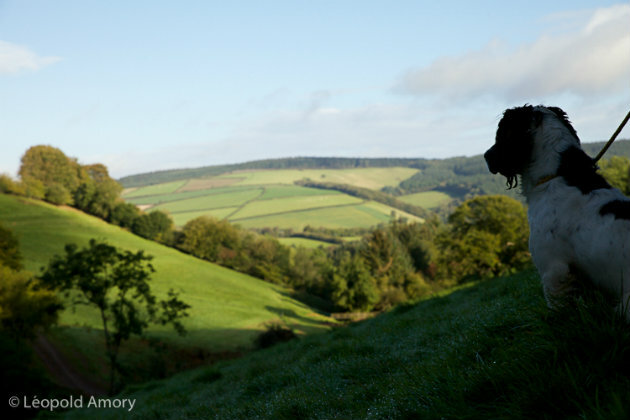 What’s it like: Molland has been the family home to the Throckmortons for over 800 years and is located on the edges of the beautiful Exmoor National Park. Whilst waiting for the astonishing pheasant and partridge to take to the air it is not uncommon to see red deer breaking cover. 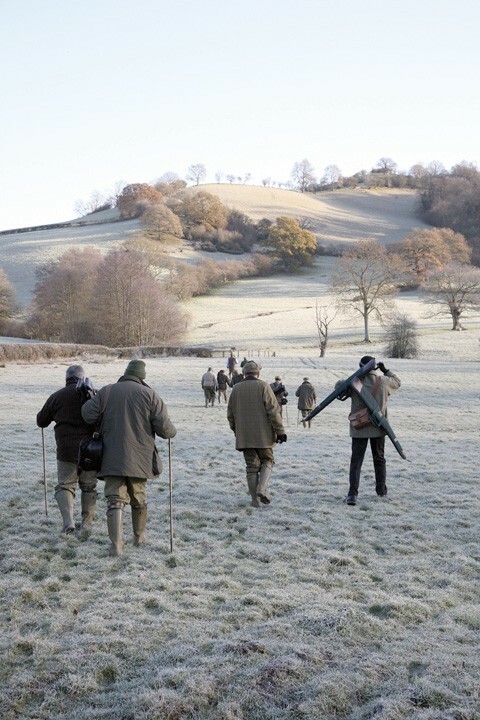 Whilst navigating the narrow lanes and high sided ditches of Molland, each corner reveals another valley boasting the high pheasant shooting of which every sporting man dreams. What’s it like: Pheasants are flushed from distant cover crops where they meet mature woodland in order to gain both speed and altitude. This combination provides epic pheasant shoots in some of the most beautiful countryside the UK has to offer. Molland Wood with its tall, thick coniferous wood, hides the gliding pheasants from view of the guns until the very last minute. What’s it like: The hills around Dorchester have for years been synonymous with great partridge shooting, so quality is certainly of the essence at this shoot. Standing at the bottom of the chalky hillside with views of fellow guns up and down the line heightens the anticipation of the first covey. Southover offers a purpose-built room for guns to enjoy morning coffee, midday snack and post-shoot dinner with wine by the wood burner. What’s it like: The estate offers shooting in its five and a half mile private valley. 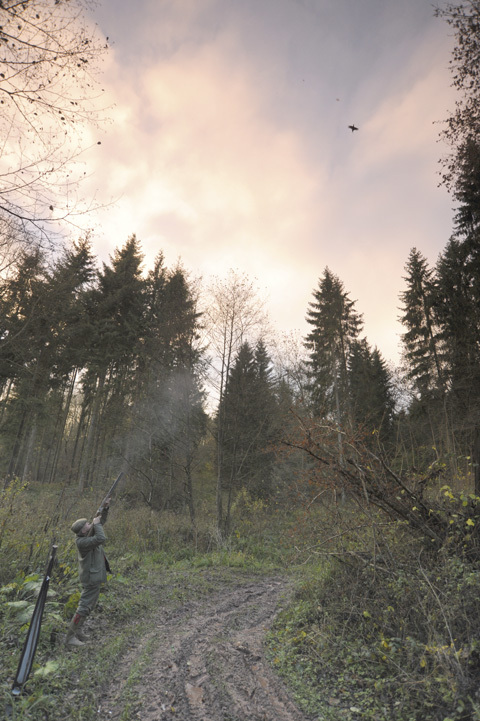 The estate is owned and managed by James Philipps who aims to host all shoots. A typical shoot day comprises of three morning drives, a midmorning drinks break and one or two drives in the afternoon. The Edwinsford estate also offers good salmon, sea trout and brown trout fishing. What’s it like: The estate is perfectly mapped out to show high birds at their very best. With over 22 drives days are carefully planned, allowing for all degrees of marksmanship. The chance to stay in the superb main house with Lord and Lady Johnstone makes this one of the best shooting venues anywhere in Scotland and it made the Shooting Gazette’s Top 10 pheasant shoots. Perfect for shooting parties interested in back-to-back days. What’s it like: Based along the Sapey valley, Whitbourne Estate is a traditional family estate which has been shot for two centuries. The current estate owner hosts all of the main days and a team of highly skilled beaters and pickers-up ensure the day runs smoothly. Birds are challenging but are within range of a competent gun and drives include parkland shooting as well as woodland stands. Full hospitality is included with a sumptuous lunch prepared by the resident estate chef in the private shoot lodge. All the usual refinements are included. Read what Shooting Gazette thought of Whitbourne here. What’s it like? : The Stoke Edith Estate is owned by the Foley family in the stunning Herefordshire countryside, with far-reaching views across to the Black Mountains and the Malvern Hills. 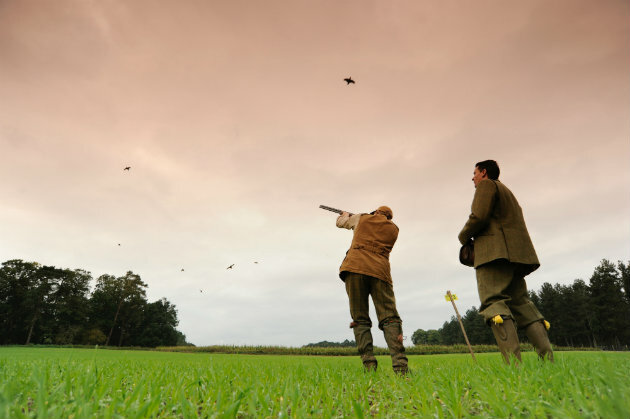 First class sport is achieved by the established planting of vast woodland and game cover combined with the excellent topography provides for challenging and exhilarating shooting. The delicious shoot break and satisfying 3 course lunch compliment the day. What’s it like: This part of the Cawdor estate concentrates on showing some of the highest and most varied sport in Scotland. Guns normally stay in the private shooting lodge, which is situated in the middle of the shoot. Parties tend to shoot for two days. The River Findhorn meanders through the estate so salmon fishing opportunities are available for guns visiting in September. The shoot is only 30 minutes from Inverness airport. What’s it like: The partridges off the open fell, driven over the hidden valleys, are particularly sporting in what is a stunningly wild location. Botton Head is an informal family shoot where all are welcome – including dogs. There are plenty of opportunities to chat to the beaters and pickers-up as everyone walks together between drives. Shoot days are principally on Saturdays from October to January and costs include lunch and drinks. Topography: Moorland, cloughs, wooded valleys and meadows. What’s it like: Home to some of the most prestigious shoots of the Edwardian era, Great Hockham is a perfect piece of countryside. With a quarter of the estate comprising of woodland, this makes for picturesque shooting. Guns meet in a newly converted stable block and full hospitality is provided. There is also a strong selection of accommodation available in surrounding areas. Topography: Arable land, forestry, copses and cover crops. What’s it like: Situated in the hilly part of Norfolk, guns meet in the shooting lodge before mounting the shoot bus to begin the day. The shoot and headkeeper Wayne Maud like to meet guns prior to starting the sport. This is a friendly family shoot where you will find good value for money and an enjoyable day. The price includes a light lunch and dinner in the lodge. What’s it like: An established mixed shoot that prides itself on its informal and relaxed atmosphere. Quality birds are driven from woodlands ensure testing shooting. Lunch, provided by the Otterburn Tower Hotel, is taken in a purpose-built bothy, complete with wood burner and bar. What’s it like: The shoot is set out to provide a fun and interesting day’s shooting. The open character of the countryside, which runs across four ridges, gives the wind every opportunity to play its own special part. The shoot provides a proper lunch in the farmhouse, and is happy to accommodate non-shooting guests. Let days are given over to one party, which can be between five and 10 guns. 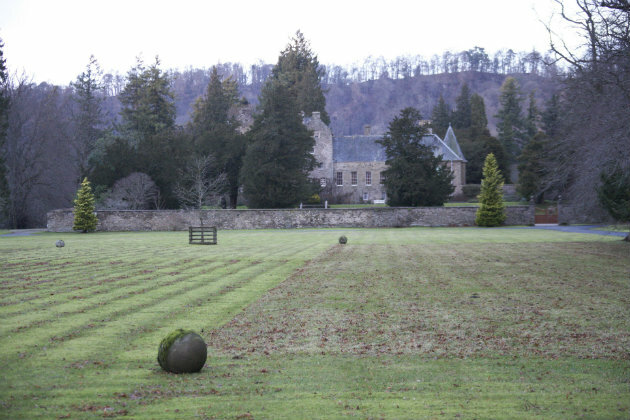 What’s it like: Situated at the entrance to the Scottish Highlands by the River Tay at Murthly, the estate benefits from excellent topography for partridge and pheasant. The Murthly and Strathbraan estate offers driven, walked-up and stalking days. The home beats around Murthly Castle add an ambience and sense of tradition to a day’s sport, and the wilds of Strathbraan offer high birds over dramatic heather clad hills. What’s it like: The shoot is part of the Bettws Hall portfolio and is the family home of David and Christina Trant. Maesmawr Hall has established a great reputation for its high and sporting birds and wonderful hospitality, Shooting Gazette stayed there while shooting at Llandinam. The estate was laid out as a hunting retreat in the early 19th Century and is perfect for driven pheasants. With an array of deciduous and coniferous woodland, together with perfectly positioned game crops, there are drives at Maesmawr which will certainly test all. What’s it like: This is a virgin shoot and has never been shot before. Game crops are perfectly positioned all round the 2,000 acre plus estate with 16 drives, there are mature woodlands running through and around the valley for the pheasant and partridges testing them to the best of their abilities. Topography: Mature woodlands and deep valleys. What’s it like: A small, friendly family-run shoot at the foot of the Brecon Beacons offering high sporting birds. A great package for roving syndicates looking for a wonderful shoot with one night’s farmhouse accommodation and dinner included in the price. What’s it like: Considerable time and effort has been invested in the regeneration of Glanusk‘s historic estate shoot. 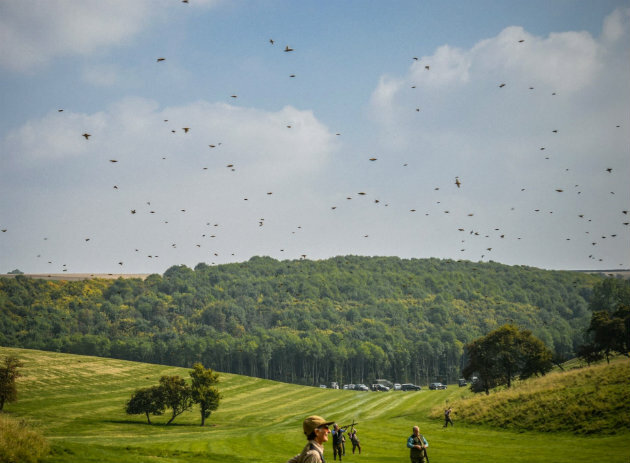 New drives compliment the already spectacular topography, and the shoot is confident that its new additions, alongside existing drives including Tan Lan and The Church, will produce some of the most sporting driven birds in the county. Costs include shooting of four to five drives, elevenses and three-course lunch in The Rod Room. Accommodation can also be arranged for visiting guns. 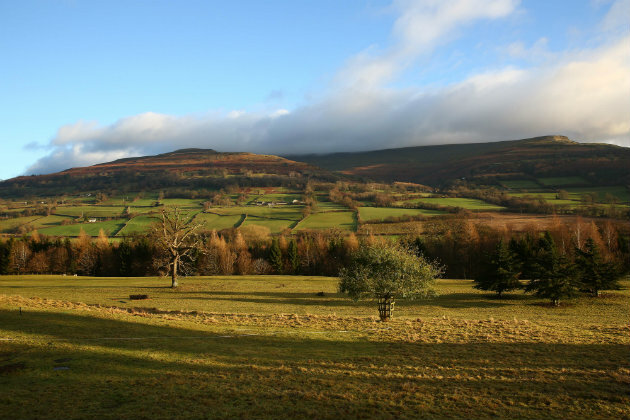 Glanusk is situated on the Powys/ Monmouthshire border and is accessible from the A40. What’s it like: Gregynog Hall is a grade 1 listed Jacobean style mansion, originally the seat of the Blayney Family. This intimate shoot is famed for challenging driven pheasant shooting set in beautiful rolling valleys. The shoot itself is just a stone’s throw from sporting lodges which allows for a leisurely breakfast. Drives such as the Middle have a loyal following of Guns from both the UK and overseas and the limited shoot days offered on this estate are highly sought after. The Shooting Gazette deemed it superb. What’s it like: The Brigands has a reputation as one of the highest pheasant shoots in the UK. The Brigands lies in the valleys of Cambrian Mountains and at the foot of Snowdonia national park. This 12,000 acre estate provides endless drives to appeal to all manner of Guns and ability such as 720, Welsh Haven and Hell Fire. What’s it like: Vaynor Park is the quintessential Welsh Estate and family home to the Corbett Winders. William can frequently be found roaming his estate and hosting pheasant shooting days with superb presence. The estate provides spectacular pheasant and partridge driven across open parkland from ancient woodlands. 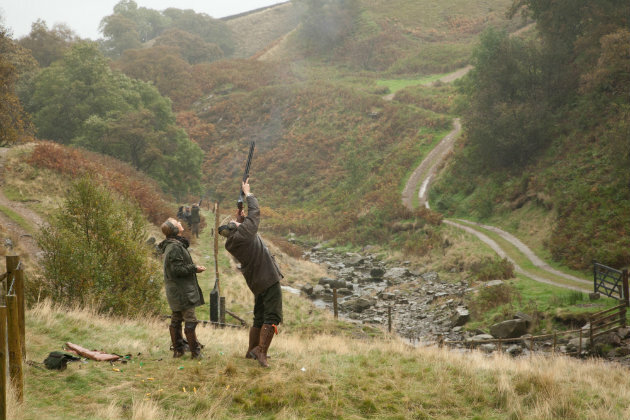 Vaynor is situated just a few miles from the Bettws Hall sporting lodges, which the Shooting Gazette put in the Top 10 Shooting Lodges in the UK. It is here that the guns meet and draw pegs before heading off to shoot. What’s it like: Based along the valley of the River Vyrnwy, this is an archetypal family shoot, which has been shot over for over 100 years. The shoot organise each day in a friendly and professional manner, all under the watchful eye of Arwel Jones, the shoot’s keeper for the past 30 years. Birds are challenging but are within range of a competent gun. Full hospitality includes coffee, a mid-morning snack, lunch and tea in the family house. Local accommodation is available, from small B&Bs to 4* hotels. What’s it like: An Iron Age Burrow provides the topography and scenery for a dramatic pheasant shooting UK location. Kempton was one of the first shoots added to the Bettws Hall portfolio. The shoot lodge sits on the pinnacle of the estate and is approached by a meandering driveway which elevates to over 1000ft and offers a panoramic view of both the Welsh and English countryside. The layout of the drives and the undulating valleys allows the guns to see the shoot in its entirety from a number of vantage points meaning that it is possible to get a level view of just how high the pheasants and partridge were when looking from one hill down in to the previous valley. What’s it like: A traditional sporting estate owned by the Bridgeman family, the shoot boasts beautiful woodlands with majestic 150ft redwoods mixed into a patchwork of varying trees. All follow the steep banks of the River Severn as it meanders north and then westwards. A family-run shoot for 22 years, the shoot enjoys a convivial atmosphere and the traditional home cooking provided in the farmhouse is probably its forte. 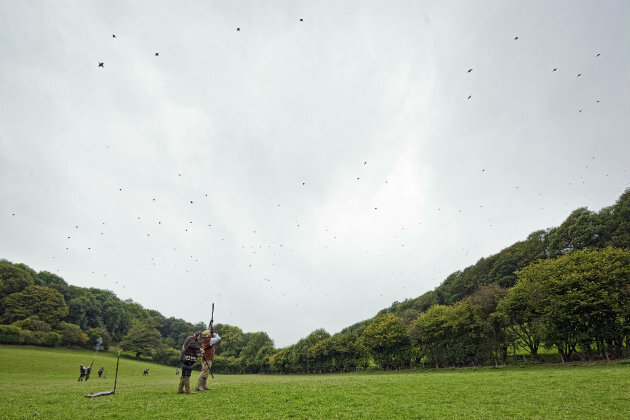 What’s it like: Next to the renowned Miltons Shoot on Exmoor, this shoot offers some of the finest high bird shooting available in the south west. Drives including the infamous Punch Bowl (the most southerly glacier) offer very well presented birds to challenge even the most experienced guests. Top class hospitality is included in the price. What’s it like: An iconic shooting estate, Chargot, has been part of the Bettws Hall stable since 2009 and they have enhanced the estate to warrant the reputation as a traditional pheasant and partridge shoot in a wonderful landscape. Steep valleys at the foot of the Exmoor moorland provide the inspiration for shooting true to West Country reputation, tall and fast! What’s it like: Mainly a pheasant shoot, Campsea Ashe prides itself on being able to offer other game to add some variation. A number of woodcock are available as the season progresses. Big Wood is able to show six drives alone. 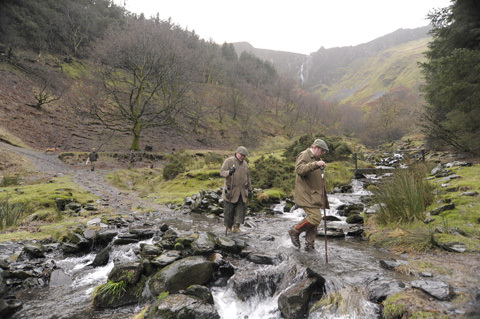 Dennis Pegg has been shooting on the estate for 20 years and been captain for the past eight seasons. Shoot day starts at the paddock at 8.30am and 4×4 transport is provided if guns do not have their own. Gundogs are welcome. What’s it like: The shoot’s new gamekeeper is extremely well placed to offer quality sport and hospitality. Each day is run by the Catchpole family, with lunch provided by professional caterers and taken in the recently refurbished shooting lodge. The guns are not charged any overage and bags are often well in excess of the target. Refreshments and transport are provided. Read more about shooting at Stowlangtoft here. What’s it like: The shoot is steeped in history with many royal visitors over the years – the King’s Stand drive is named after Edward VII. Starting with partridge-only days in September, there are mixed days in October, with November, December and January being mainly pheasant days. Guns meet at the Earl of March country pub and restaurant, and breakfast can also be arranged. A full lunch is provided and cream teas are offered at the end of the day. Full days, syndicate places and individual guns available. What’s it like: Now well into the season of simulated grouse which started on March 12. 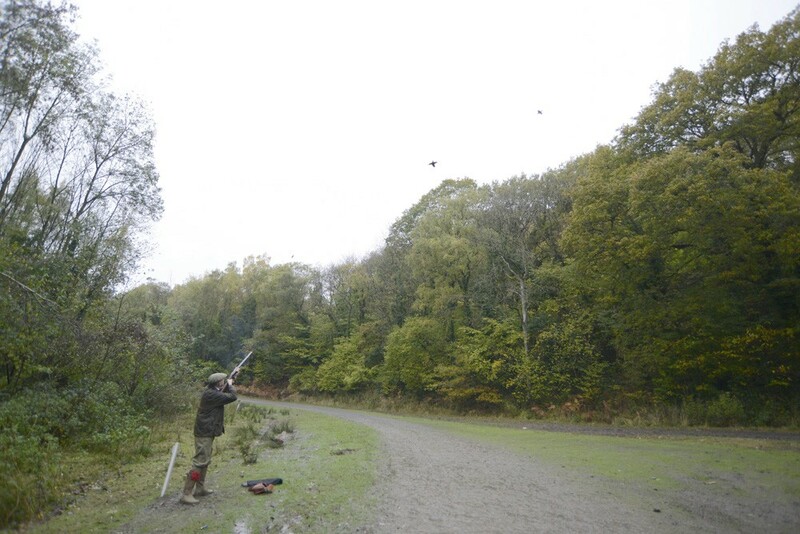 Whether you have been clay pigeon shooting before or not, the shoot will provide you with a great day. Set in the Yorkshire Wolds, the day begins with pegs drawn in the newly purpose built shooting lodge. During the day over 8,000 shots will be fired. Refreshments are provided throughout. What’s it like: Hosted by Simon Foster and his wife, the shoot is run as informally as possible. Full hospitality is included and taken in a splendid purpose designed shoot room heated by a huge wood-burning stove. With over 18 pheasant drives back-to-back double gun days are possible, with guns seeing some of the best birds in the county. Up on the moor Egton can deliver some fabulous north Yorkshire grouse shooting. What’s it like: The shoot began letting days following the death of Richard Henry Piers Butler, 17th Viscount Mountgarret, in 2004. The shoot is still run in a relaxed manner, with the accent on fun rather than big bags. The shooting party meets in a comfortable, newly created lodge for coffee and briefing with guns being on their pegs for the first drive at 9.30am. Four drives are taken before a two-course lunch back at the lodge, with a further two drives afterwards. Guns can shoot through if they prefer to. Duck flighting can be made available after tea. Shoot days are normally Fridays and Saturdays. Accommodation is available in nearby Ripley and Markington. What’s it like: A world-class driven game shoot, which over the years has attracted the likes of Winston Churchill as well as royalty and members of high society. It was even included in the Shooting Gazette’s Top 10 Pheasant shoots in the UK. 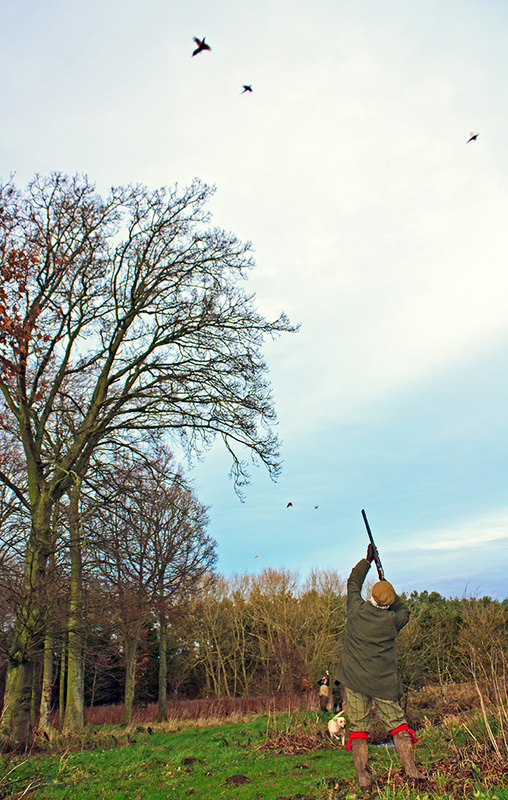 The shoot prides itself on its reputation for high birds over its 50+ drives, all under the direction of headkeeper Frank Croft and his team. The shoot aims to ensure all guns have a memorable day in a relaxed, safe environment, everyone traveling together in a purpose-built gun bus. Guns are sold on a single gun or full team basis. What it’s like: The shoot covers The Ripley Castle Estate, The Nidd Beat of The Mountgarret Estate, The Hob Green Estate, The Cayton Estate, the Eagle Hall and Ashfeld side shoot together with Hard Castle and Heathfield Moors and other areas leased from neighbouring farmers. Frank Boddy and his team aim to create a relaxed atmosphere for everyone to enjoy their day. Breakfast, lunch and refreshments are provided and Frank’s famous bullshot brew is perfect for a winter’s day. 80% of days are sold by the gun per day specifically catering for individual guns and small parties with the rest of the days for full teams, ideal for roving syndicates. 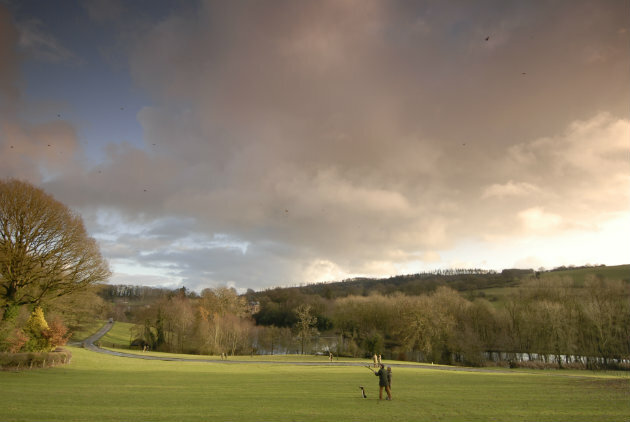 What’s it like: A fantastic shoot set within its own valley on the edge of the Yorkshire Wolds. The estate boasts 50 named drives from which birds are presented over some exceptional wooded dales and Wold valleys. Guns meet and take lunch in the shoot room located at the heart of the estate. All shoot days are run by the headkeeper, Mike Tipping.